Shrewsbury Webs (Shrewsbury Websites) does not offer Website creation or Website Hosting services, but we are pleased to promote and serve reputable Website Creation and Website hosting companies who serve Shrewsbury and who design websites for Shrewsbury companies, create websites for Shrewsbury companies, maintain websites for Shrewsbury companies and promote websites for Shrewsbury companies. Inclusion in Shrewsbury Webs promotes clients Shrewsbury businesses, promotes clients web sites and can improve the Search Engine ranking of clients Websites. Shrewsbury Website Design - Website Creation Services. Address; Ben Stokes Marketing - Website Design, 101 Longden Coleham, Shrewsbury, Shropshire. SY3 7DX. Ben Stokes Marketing believe that all businesses should realise the importance of having a website no matter how small they are, Locksmiths, Mortgage Brokers, Dog Walkers, Accountants, Driving Instructors, Hair Dressers - Beauty Salons, Cake Makers, Home Improvement Companies have all witnessed and embraced the importance of having a website, with many seeing sales increases. Address; Brooks Design, Scotts Mansion, 24 Claremont Hill, Shrewsbury, Shropshire, SY1 1RD. Effective websites are easy to update, easy to use and easy to find. Whether selling products and services or an organisation with information to promote you need a website that gets noticed and focuses on the benefits and services on offer or successfully communicates the message. All of our websites are designed and built to convert visitors into customers. Wrexham Website Design and Website Creation Services. Address; Ceiriog Website Design, 5 Coed-Y-Glyn, Glyn Ceiriog, Nr Llangollen, Wrexham, LL20 7NR. Website Design & Website Creation Services in Shrewsbury. Address; Central Website Design, 38 Hafren Road, Shrewsbury, Shropshire. SY3 8NQ. Website Design & Website Creation Services in College Hill, Shrewsbury. Address; Clear Design (Website Design), The Design Centre, College Hill, Shrewsbury. SY1 1LZ. Your website may be your most valuable marketing tool and it needs to look the business, and it needs to deliver your brand consistently. Clear Design (Website Design) knows the limitations of the web and no matter how fantastic the creative is, your website needs to be found on Google. Cloud Websites; Website Design and Website development company based in Shropshire. Address; Cloud Websites, 3 Bridge Way, Muxton, Telford, Shropshire. TF2 8JL. Cloud Websites build custom made websites to fit the exact needs of the customer. Cloud Websites are friendly and helpful and have extensive knowledge of the web. Cloud Websites also offer competitive prices, so why not get in touch and tell us about your project. Website Design - Website Creation speciaContact based in Shrewsbury, Shropshire. Gecko Web Design Shrewsbury - high impact website design from Shrewsbury, Shropshire. Whether you need a web design and development built from the ground up - an existing web site rebuilding, want to improve your ranking position in search engines, or need graphic design for printed materials - Gecko Web Design Shrewsbury provide a fast, cost effective service with fanatical support. Website Design - Website Creation based in Ellesmere, Shropshire. Address; Generation X Website Design, Nutwood Cottage, 15 Birch Road, Ellesmere, Shropshire. SY12 0ET. Generation X are a dynamic website design, internet marketing and IT consultancy, based in Ellesmere Shropshire. Using technology and strong design as their tools, Generation X Website Design deliver high-impact, high quality websites and business solutions to help small and medium sized companies in Shropshire, Cheshire, North Wales and North-west England increase customer value and maximize return on investment. Website Design - Website Creation based in Oswestry, Shropshire. Address; Hunter Bevan Ltd, The Studio, Mountain View, Whip Lane, Knockin, Shropshire. SY10 8HU. Hunter Bevan Ltd has gained an enviable reputation working with some of the leading businesses, charities and public sector organisations in our region. Their experienced, commercially aware team create branding, logos, corporate identity programs, brochures, stationery, advertising, packaging, exhibition graphics, multimedia presentations and websites with a unique blend of design flair and commercial acumen. Jelly Graphics in Shrewsbury, Shropshire offer Web and Graphic Design - at very reasonable rates. Jelly Graphics specialise in providing high quality and effective visual communications and create above and below the line marketing solutions, across all channels. Based in Shrewsbury, Shropshire, Jelly Graphics offer their design service to the surrounding areas; Telford, Wolverhampton, Wrexham, Oswestry, Chester, Nantwich, Market Drayton. However, Jelly Graphics have clients all over the UK, from London to Edinburgh!. Working with Jelly Graphics, their reduced overheads mean that they offer you design solutions at a fraction of a cost of a large design agency, but with the same high quality you demand. Jelly Graphics produce mock up designs at the start of any project to help visualise how the final design will look. Jelly will then add and amend details until you're 100% happy with your design. Address; jPeps Website Design, 16 Coseley Avenue, Telford Estate, Shrewsbury, Shropshire. SY2 5UP. jPeps Website Design is a full digital media service. jPeps Website Design are a web design graphic design , print services company dedicated to helping small and medium sized businesses prosper. Website Design & Website Creation Services in Oswestry. Address; Multi Matrix Solutions - Web Agency, Little Gyrn, Gyrn Rd, Selattyn, Oswestry, Shropshire. SY10. Multi Matrix Solutions is a website design and website development business, providing bespoke websites for individuals, the public sector and business community. They are a friendly website development and design agency with a professional attitude to provide affordable, cost effective, modern, simple and stylish web solutions. Address; Pixelmakers Website Design, Sabrina, Alma Street, Shrewsbury, Shropshire. SY3 8QL. Pixelmakers Website Design treat every project is treated with the same attention to detail and Pixelmakers websites deliver proven results with search engine optimisation as standard. Website Design - Website Creation Services in Bishops Castle, Shropshire. Address; Remote New Media, Linley, Bishops Castle, Shropshire. Remote New Media are a team of creative and strategic thinkers. Remote New Media build brands, deliver compelling, effective marketing material, website design, e-commerce systems and advanced online systems for real clients fixing real issues. Remote New Media grow businesses. Shrewsbury Based Website Design - Website Construction. Address; Smart Website Design and Printing, 47 Racecourse Crescent, Shrewsbury, Shropshire. SY2 5BW. Smart Website Design and Printing Service is one of the UK's leading website design companies based in Shrewsbury. Smart website design has specialised in company website design since the year 2000 and they understand the internet and what it takes to achieve top spots on the major search engines. Smart Website Design have a proven track record and are a partner of one of the most successful SEO (Search Engine Optimisation) companies in the UK, if not, the world. Website Design - Construction in Shrewsbury. Address; Source Website Design, The Design Centre, 8a, College Hill, Shrewsbury, Shropshire. SY1 1LZ. Source offer a complete range of web and new media services, from basic website design and development through to more complex database-driven websites, including e-commerce shopping systems and content management solutions. With a Source website, your target audience will be given the confidence and reassurance that they need to drive them towards your company. 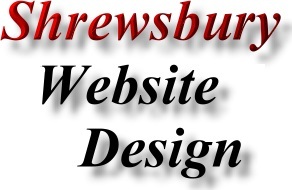 Shrewsbury Website Design & Consultancy Services. Address; Stylus Website Design Consultancy, 8a College Hill, Shrewsbury, Shropshire. SY1 2AJ. Stylus Website Design & Marketing, attracts more customers to your business. Stylus Website Design Consultancy can help you reach the world and ensure that your marketing, website-design, branding, advertising, PR, packaging-design and brochures have maximum sales effect. Website Design - Website Creation Services in Shrewsbury, Shropshire. Address; Webb2 Website Design, Maple Drive, Heath Farm, Shrewsbury, Shropshire. SY1 3SE. Webb2 Website Design delivers a range of website design services to businesses, which are designed to suit all budgets. With a wide range of designers, Webb2 Website Design has caring, friendly staff who help clients to achieve their on-line aim. Church Stretton Website Design and Website Creation Services. 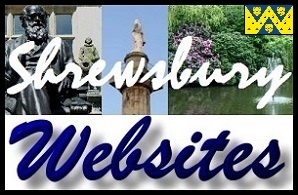 Address; Webbex Technical Services (Website Design), PO Box 944, Church Stretton, Shropshire. SY6 7WH. Webbex Technical Services offer a complete range of Internet services. As well as website design and website re-design, Webbex Technical Services offer an Internet consultancy service, internet marketing and website promotion advice and website hosting. All websites designed by Webbex are individual and designed to the client’s own requirements. Website Design Services in Shrewsbury. Address; Web Design Shropshire, Shrewsbury, Shropshire. SY4 4SA. Website Design & Website Creation Services in Coton Hill, Shrewsbury. Address; The Web Orchard (Website Design), The Pump House, Coton Hill, Shrewsbury, Shropshire. SY1 2DP. The Web Orchard Website Design specialises in designing elegant websites, e-commerce and content management systems that capture an audience and keep them returning. 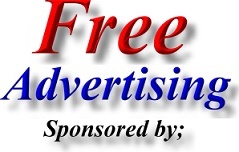 Ultimately your website needs to be seen to pass on your message. If it looks awful this will reflect on how your business is perceived. Many organisations' websites do more to drive custom away than encourage it. Address; Websyche Website Design, 140a Longden Coleham, Shrewsbury, Shropshire. SY3 7DN. Whether you require a simple online advert, brand reinforcement, or a full-blown database driven e-commerce website, Websyche Website Design will produce an attractive, easy to navigate, original website for your company. Websyche Website Design will establish an understanding of your business, its requirements, your client base and what you wish to gain from the Internet.